When the Supreme Court has asked about the change in the offset guidelines in 2015, the Additional Secretary of the Defence Ministry explained that the offset contract runs concurrently with the main contract. which is the focal point of the opposition’s charge of corruption in the Rs. 59,000 crore contract. Additional Secretary Defence Apurva Chandra is to questions from the judges. and opted for a not-so-lucrative new contract for 36 jets just to help Anil Ambani’s debt-hit defence company bag an offset partnership with Dassault. the joint venture was to be signed with Mukesh Ambani’s Reliance Aerospace Technologies. though there was no official handover. the Defence Ministry officer explained that the offset contract runs concurrently with the main deal. The government said a political issue was being made out of the offset partner. Justice KM Joseph questioned that If the offset partner runs off, what happens? What about the country’s interest? The court said the government “can’t separate” the main contract from the offset contract. The court also asked if the deal was protected by a sovereign guarantee from France, to which the government had provided a comfort letter. Reports suggest the deal had been stalled over Paris’ refusal to be a sovereign guarantor. In the case of government-to-government deals with the US, Washington stands guarantee to ensure the contract is executed without a hitch. Dassault has to invest half the value of the deal – about 30,000 crores – in Indian firms. It is to manufacture plane parts – though not for the 36 jets ordered by India. 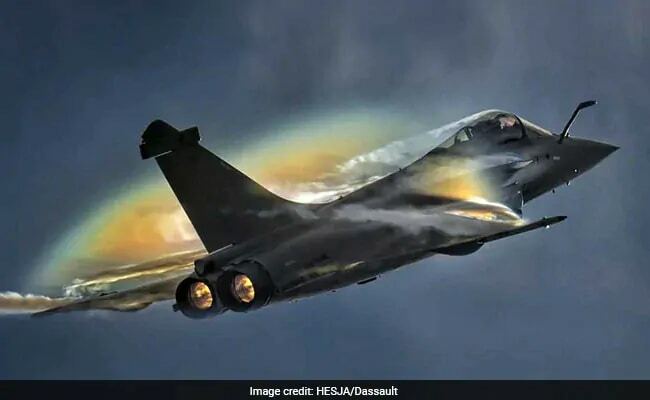 Dassault rubbished Congress president Rahul Gandhi’s allegation that the French aeronautics major had chosen Anil Ambani’s company in order to bag the fighter jet order.